Your brand is everything. Don’t think that just because you’re not Nike or Coke that you don’t have a brand. You ARE a brand. Your brand is not your advertising. Your brand is not your logo. Your brand is not your company name. Your brand is not your product. Your brand may not be at all what you think it is. 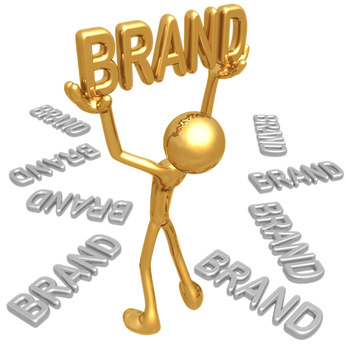 Your brand may not be what you intend for it to be. You do not own your brand. Your brand is owned by your customers, the people you work with, and anyone else who has an impression of you. Your brand is other people’s perception of what it’s like to do business with you, work with you, or be with you. Nothing is more important than your brand, because it’s what defines you, regardless of the work you do. It has equal importance whether you are one employee of a worldwide company or a one person business working out of your home. It should be your top priority to build, protect, and represent your brand to the best of your ability in every interaction you have with others. The essence of building a strong brand is simply this: keeping your promises and creating great experiences for others. You transfer a customer four times to different departments and she never has her problem solved. That’s your brand. You charge a customer extra for something they thought was included in the original price. That’s your brand. You replace a defective product but no one apologizes to the customer for his trouble. That’s your brand. You put a telephone customer on hold for over a minute. That’s your brand. Your web site is confusing and hard to navigate. That’s your brand. A repeat customer for many years comes into your store and no one greets her by name. That’s your brand. Most feelings about brands are based on comparison. You may think that your competitors are the other companies that do what you do, but customers don’t limit their comparisons like that. All customers may know is that someone else in a business completely different from yours did something great for them that you, in their opinion, were unwilling to do. You may not think it’s a fair comparison, but who cares? It’s the customer’s call. Anything that another company does for your customer can have a strong influence on how she rates your brand. The other company returns my calls within a couple of hours. You usually take at least twenty-four hours. Everyone at the dry cleaners knows my name. I spend about thirty dollars a week with them. My company spends tens of thousands of dollars every year with you and yet I feel like you have no idea who I am. My stockbroker calls me to see how I’m doing or if I have any questions about how my stocks are performing. You only call me when you want to sell me something. The owner of the service station came out to the self-service gas pump the other day to tell me how much he appreciates my business. You’ve never made that kind of gesture of appreciation to me. Experiences like these are what make up an individual’s impression of you, which then becomes your brand. The lesson that the market teaches is that every single encounter that anyone has with you is what ultimately makes up your brand. It takes an on-going commitment to take your personal brand to the “Category of One” level. It doesn’t happen by accident. Once brand takes hold, however, with proper attention it becomes the essence of who you are and what you do. It transcends policy, which enables you to transcend commodity. Brand becomes the way you do everything, almost without thinking. Brand is everything. One more time — it should be your top priority to build, protect, and represent your brand to the best of your ability with everyone you meet. And remember, it’s all about keeping promises and creating great experiences. Joe Calloway is a business author, performance consultant, and restaurant owner whose client list reads like a “Who’s Who” in business. From Saks Fifth Avenue and BMW to American Express and IBM, a wide range of companies depend on Joe for insight into today’s marketplace. Joe is on the faculty of The Center for Professional Development at Belmont University, and is a partner in Mirror, an award-winning restaurant in Nashville, which was recently featured on television’s Food Network. Joe is the best-selling author of Becoming a Category of One, which received rave reviews from the New York Times, Retailing Today and many others. He is also the author of Indispensable: How to Become the Company Your Customers Can’t Live Without. Joe’s newest book is Work Like You’re Showing Off! — The Joy, Jazz, and Kick of Being Better Tomorrow Than You Were Today.